Is DUI a Felony in Canada? If a foreign national has committed a crime that is considered "serious criminality" in Canada, he or she may be considered criminally inadmissible to Canada and could be denied entry at the border. Consequently, many Americans who have been arrested or convicted of driving under the influence (DUI) are interested to know what the equivalent Canadian offense is classified as. In Canada, the term misdemeanor or felony is not used. Instead, there are summary or indictable offenses. A summary offense in Canada is similar to an American misdemeanor, while an indictable offense in Canada is similar to an American felony. If a crime that is committed in the United States equates to a Canadian indictable offense, it can render a visitor inadmissible to Canada due to criminality. This being said, is a DUI a felony in Canada? The answer is, a DUI can be an indictable offense (felony). In Canada, a DUI is considered a hybrid offense which means the Crown Attorney can elect to prosecute the crime either summarily (misdemeanor) or as an indictment (felony). 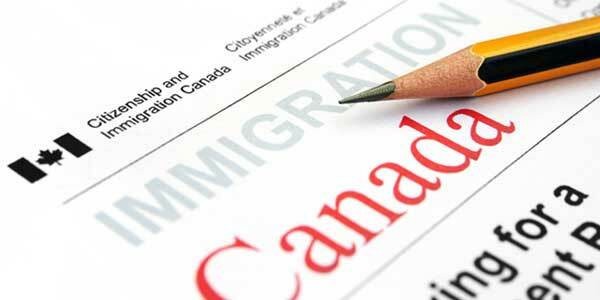 Admissibility to Canada falls under the Canadian Immigration and Refugee Protection Act (IRPA). Admissibility for hybrid offenses is defined in IRPA 36(3)(a) which states "an offense that may be prosecuted either summarily or by way of indictment is deemed to be an indictable offense, even if it has been prosecuted summarily." Consequently, impaired driving is an excludable offense that can render Americans criminally inadmissible to Canada. Although a DUI is not always a felony in Canada, it can cause a US citizen or resident to be refused admittance at the Canadian border. If you need to travel to Canada with a DUI, you can overcome criminal inadmissibility with a Temporary Resident Permit or Criminal Rehabilitation. Canadian Temporary Resident Permits can allow an American with a DWI access to Canada for up to three years and can be obtained rather quickly. Canadian Criminal Rehabilitation enables a foreign national to fix their inadmissibility issues permanently, but takes up to one year to obtain, and full sentencing must have been completed at least five years prior in order to be eligible to apply. Regardless of whether your impaired driving offense was a felony, misdemeanor, or traffic violation such as New York's DWAI, arrests or convictions for driving under the influence of alcohol or drugs can potentially cause major issues at the Canadian border. The Canadian equivalent of a DUI, DWI, OVI, OWI, DWAI, or any other drinking and driving offense in the United States can be an indictable offense and may therefore result in a border denial. If you want to enter Canada with a DUI, phone us today for a free consultation. What is a Felony in Canada? Although most US felonies equate to Canadian indictable offenses, and most US misdemeanors equate to Canadian summary offenses, this is not always the case. Drunk driving is just one of many American misdemeanor offenses that can equate to a Canadian hybrid offense, and thus are essentially considered a felony in Canada for immigration purposes. To determine the Canadian equivalency of a crime committed in a foreign country, a qualified Canadian immigration lawyer should be consulted.